Salads are supposed to be your best friend when you're on a diet. But there are definitely ways to get this staple dish wrong. Master these four salad-building rules to keep your salad on your side! Whether you're dining out or putting together a healthy snack, salad seems like a safe bet. But when you start piling on the bacon, hardboiled egg, nuts, seeds, and croutons—all smothered in a rich creamy dressing—what started out as a 250-calorie side dish turns into a 1,000-calorie mega meal. Sure, there's a place in life for a decadent Cobb, but if you're looking to lose weight and plan on eating salad regularly, you're better off building your meals around a lower-calorie but still-delicious salad. Memorize these four rules to keep the nutrients in, and the extra calories out, of your next salad. Vegetables are rich in essential nutrients including vitamins A, C, E, and K, iron, magnesium, and zinc. But each veggie has its own unique nutrient profile, so you need variety in your salad. To make sure you're getting all the essential nutrients, add at least three different colors of vegetables. The darker the green, the more nutrient-dense the vegetable tends to be. Iceberg lettuce? Yes, technically it's a vegetable. But it has about as much nutrition as piece of paper. Think spinach, romaine, or kale instead. Romaine may seem like the outlier there, but it's actually quite nutrient-rich and healthy! Salads provide a rich supply of nutrients, are low-calorie, and when made correctly, can be filling too. Yes, they're delicious when topped with cheese, nuts, and fruit as well. But once you take the focus away from the veggies, things can quickly get out of hand. Sorry, cheese crumbs and bacon bits have lots of calories—even when they're sitting on a bed of greens. Better to stick to 1-2 moderate-calorie toppings. 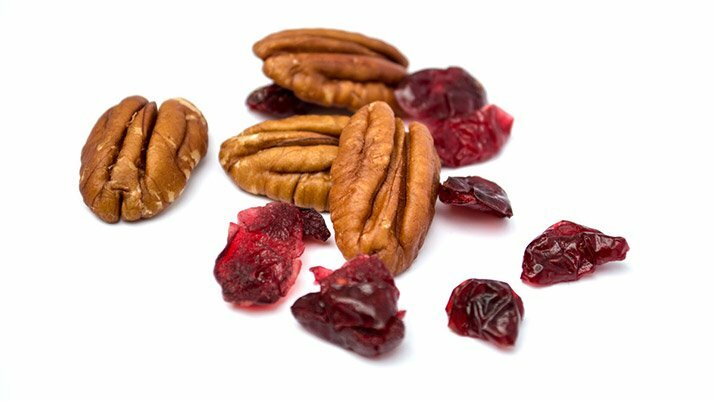 Pick two of these three categories: a nut or seed, a fruit, or a cheese. Become an expert at mixing and matching. Dieters tend to think only oil and vinegar dressing is allowed. And to be clear, these are great! But you can branch out, too. Other dressings not only taste great but help your body absorb the fat-soluble vitamins found in vegetables themselves. When possible, go oily rather than creamy. Canola or olive-oil-based dressings are rich in healthy, unsaturated fats. Cream-based dressings, on the other hand, are usually high in calories and can contain some questionable saturated and trans fats. The exception to the "creamy equals fat" rule is Greek yogurt-based dressings, which is usually very low in fat and high in protein. Fruit-based vinaigrettes are low in fat, but can be high in sugar. The same goes for something like honey mustard, where sweetness is the dominant flavor. Avoid these if you can, or make your own non-sweet versions like a Dijon vinaigrette, and then consider putting some simple fruit in your salad instead, to add a touch of sweetness. Incredibly Delicious And Perfect For Eating Healthy! Go Now! Protein is a dieter's best friend, giving you lots of nutrients and helping you feel full, so don't forget to include protein in every meal. Or even in every salad! Add slices of grilled chicken, steak, salmon, shrimp, or tuna to any of the fruit-and-nut combinations above. You can also branch out and try something like a healthy taco salad with ground meat, beans, and dressed with yogurt and salsa. 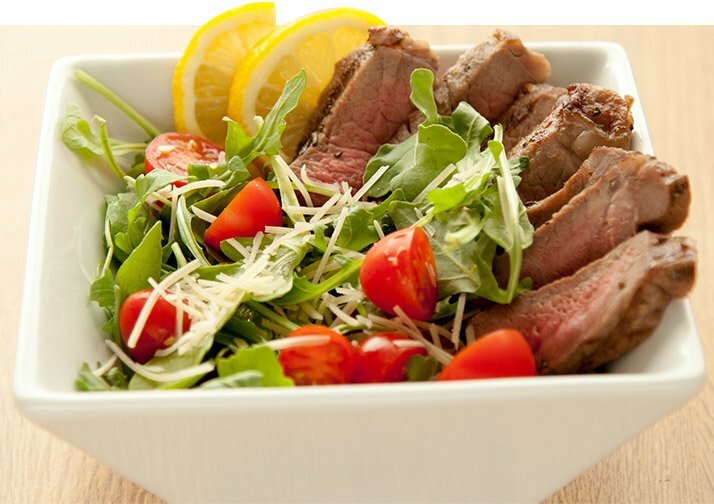 Or start your meal with a large salad, then enjoy your protein as part of your main dish. Follow these tips, and you'll build salads that satisfy your hunger and taste buds, but don't overload you with calories. Dig in!